During the Feb. 8 closing panel at the AFCEA West 2018 conference in San Diego, California, leaders from the Navy, Marine Corps and Coast Guard discussed a road map for their services and how to best prepare for future conflicts. But they also discussed technical problems that could lead to long-term difficulties. Of course, the Navy is no stranger to autonomous vehicles. The Office of Naval Research has experimented with autonomous boats, DARPA has experimented with submarine hunters, and there has been plenty of discussion about underwater drones. In addition, when asked during the panel about major acquisition programs the chiefs had deemed most important, Richardson mentioned the MQ-25 drone, its integration into the air wing and unmanned, undersea vehicles as top priorities. The size and scope of the cyber workforce with the Department of Defense has been an issue for years. But Gen. Robert Neller, commandant of the Marine Corps, said retaining those workers is paramount if the Defense Department wants to stay on the leading edge of the cyber front. “We’re at the point now, if you make it through all the wickets, and you become a cyber Marine, if you will, and you’re qualified to do mission protection or attack or cyber mission force stuff, you’re not leaving,” he said. 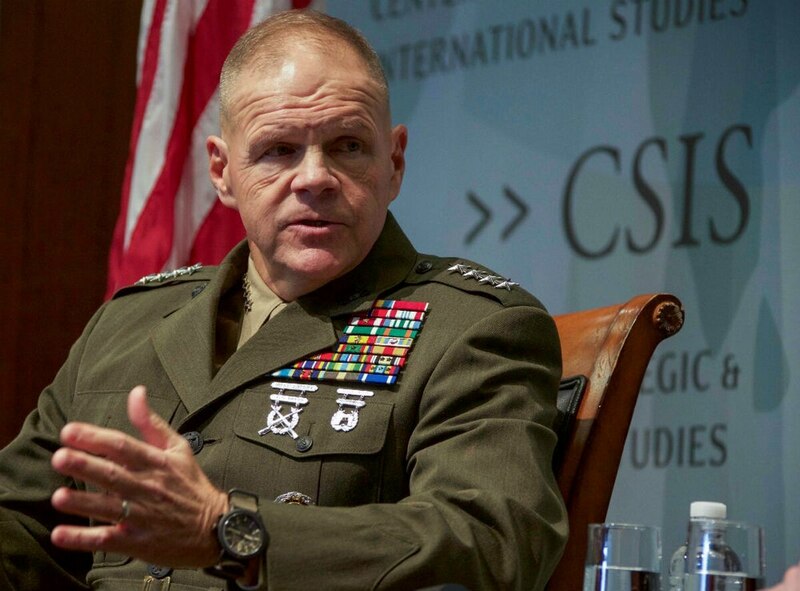 Neller said he was particularly worried the Marine Corps would not be able to best take advantage of the F-35 and its multitude of sensors because of command-and-control systems.